Pecan rolls, also known as Pecan Logs, are an old-fashioned Southern confection. 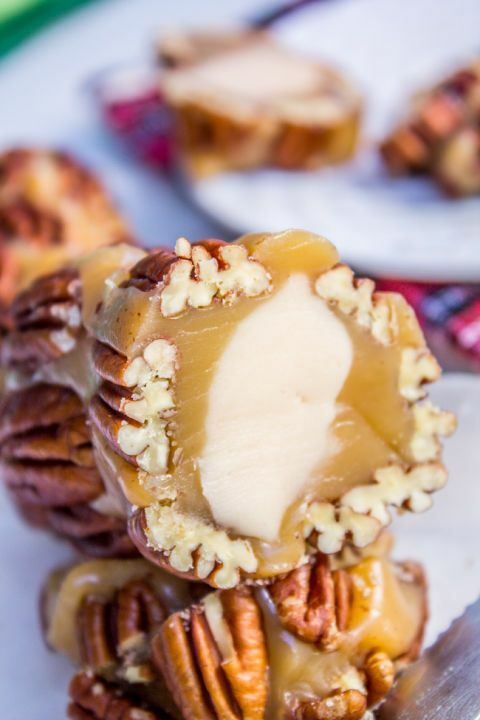 Pecan rolls traditionally have a light and fluffy nougat or divinity-type center that is formed into rolls, dipped into a rich, hot caramel, and then rolled in crunchy toasted chopped pecans. Well worth the time to make these. They're now part of my Christmas baking (one of 23 recipes). I remove it from the heat after it comes to a boil & before I add the confectioners' sugar ( it turned out a bit dry & crumbly the first time I tried it).I melt the caramels in a double boiler with 3 tbsp. millk instead of 1 tbsp. I had no luck using the microwave (it wouldn't stay warm long enough to roll them all & was too thick even when I added more milk)." I cut these into long, skinny rectangles before dipping in caramel. I followed the other reviewers advice and used the double boiler method for melting the caramels. These were kind of messy to make, but tasted very good. 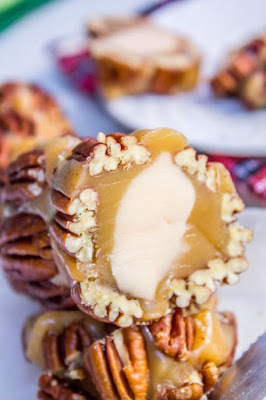 I did use a lot more pecans rolling these than the recipe stated (probably double the amount)."